The land is very barren where Wango lives. The main crop is wheat and so the everyday food is simple and made by flour. A rare and luxurious breakfast is to put meat, salt, water, and flour together to steam. Only a few vegetable grow there, mostly potatoes and radishes. 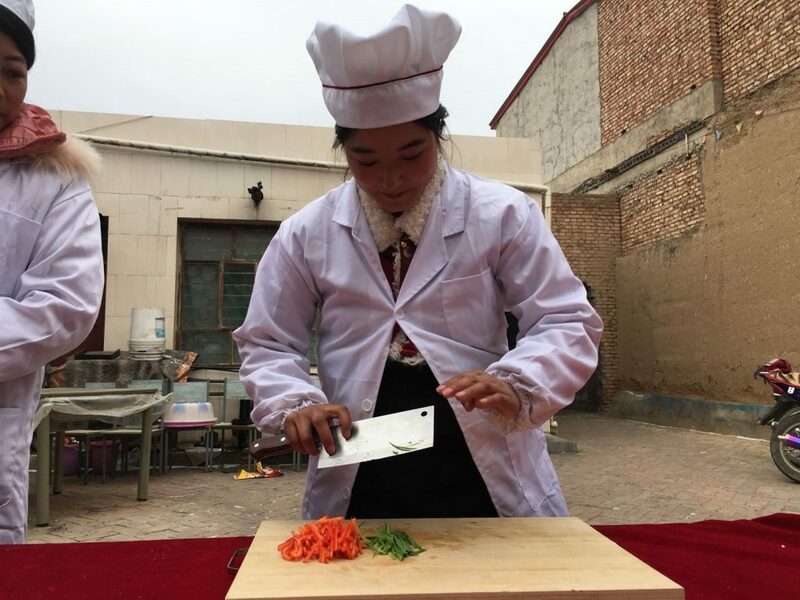 Wango already knew how to cook steamed bread and buns however she had no idea how to cook with different vegetables, various spices and the many Chinese greens. According to the teacher, Wango is the best student in the My First Job Assistant Chef program. She is a fast leaner and all the food she cook is always delicious. Wango takes the My First Job classes seriously and works really hard to learn everything she possibly could. It takes her 1 hour by motorcycle from her home to attend class everyday. She never had the opportunity to go to school and is illiterate. She got married and had a child while still in her teenage years. 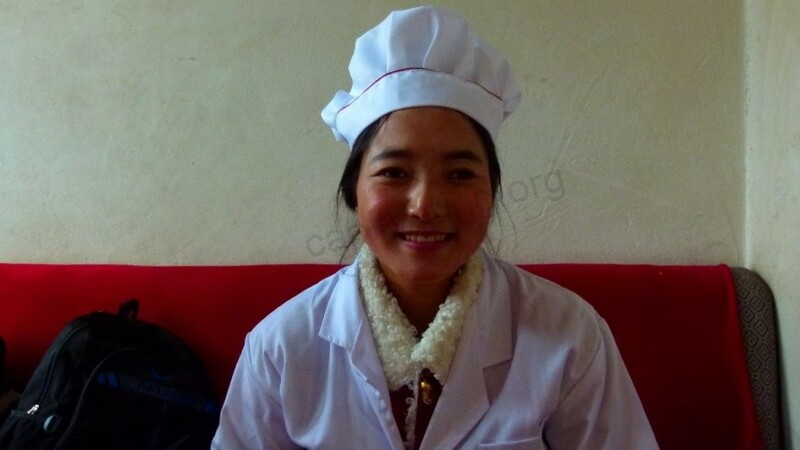 Now a widow, and still very young, she is determined to be able to send her son to school. Her dream is to open her own restaurant one day. Being part of the My First Job Assistant Chef program has changed Wango’s life and her son’s future. Thank you to ZURU for funding 50% of this skill building program.